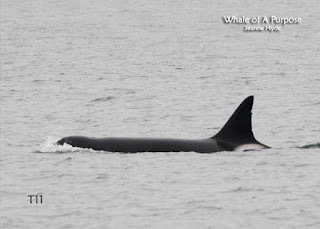 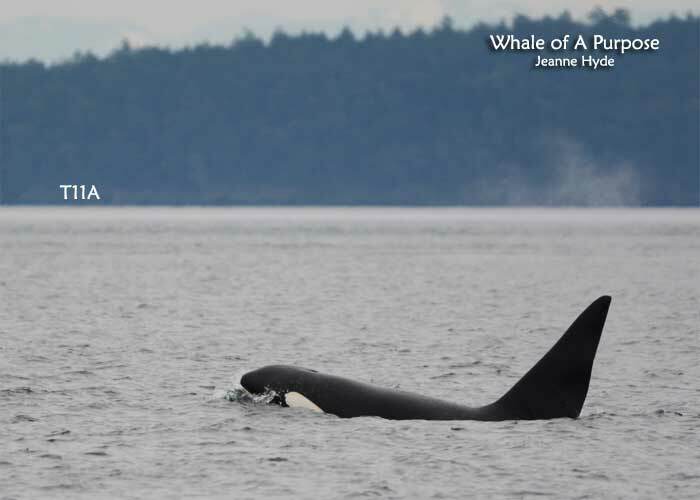 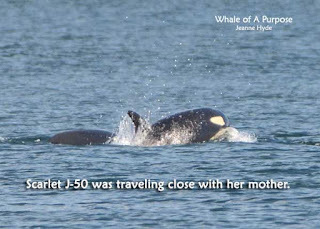 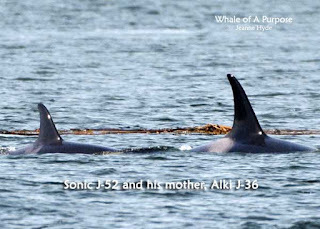 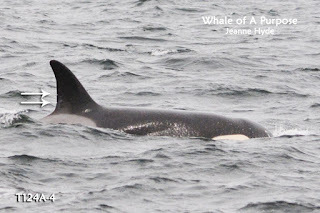 ...T65Bs (mother and offspring) used to travel more often with her mom - T65 and Chainsaw T63...Chainsaw hadn't been seen in these waters for the last few years, but he was seen north (SE Alaska - I think) last year but no mention of T65...hummm...so the other day when Chainsaw was seen coming in from the west there was an unidentified female who was later ID'd by one of the Victoria boats as T65! 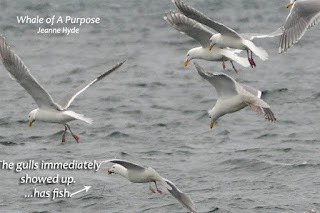 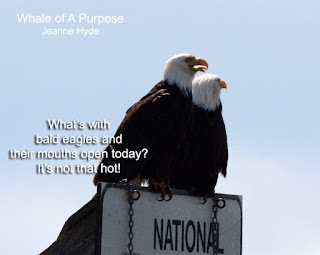 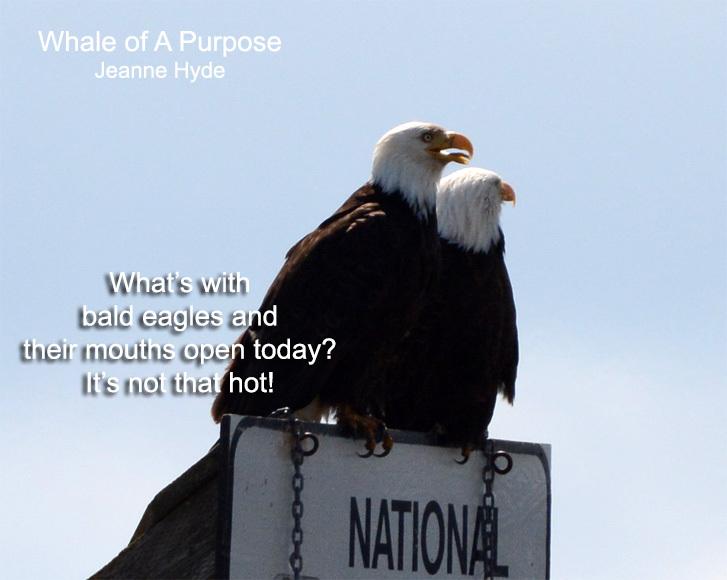 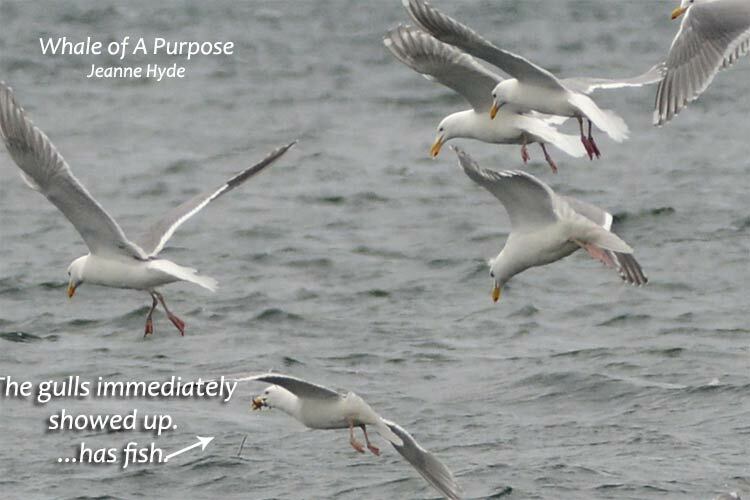 ...I am so anticipating hearing them over the hydrophones early one morning ...but also realizing that I am quite concerned for their well being. 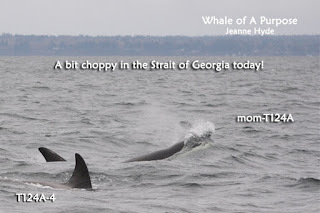 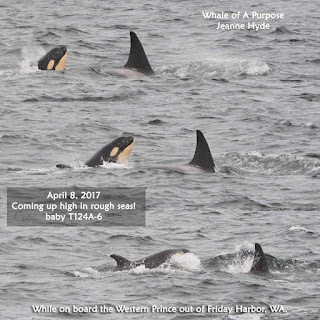 ...it certainly has been several days of transient killer whales...and with so many Steller sea lions hauled out at Green Pt. 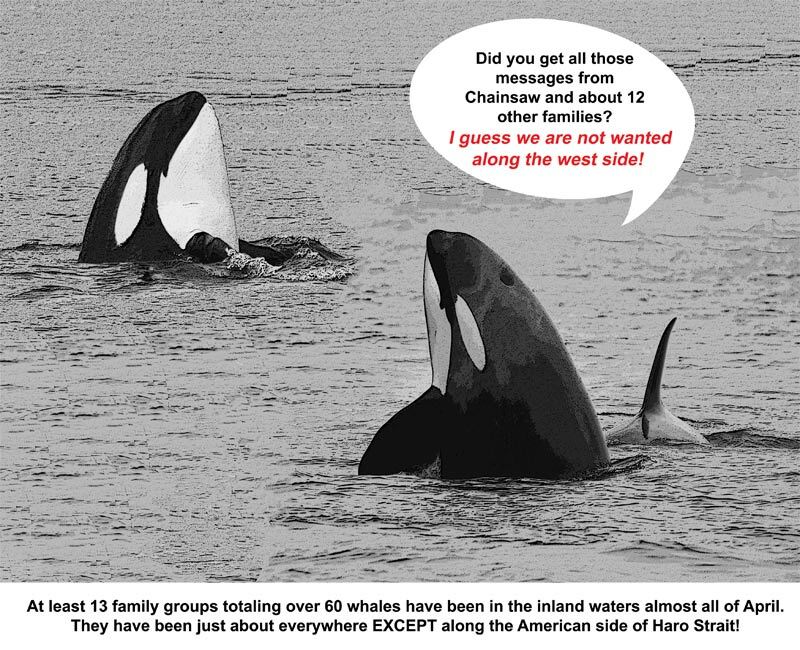 on Spieden Island...124 hauled out and at least another 25 in the water! ...another day another encounter with Ts...only this time different ones...a family group of four, who are usually seen by themselves...referred to as the T18s, - T18, T19 both females. 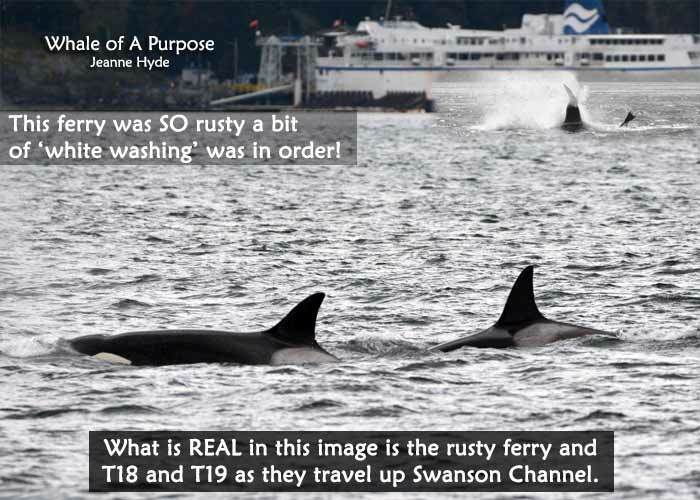 I don't think their relationship is known but T18 is always with this group. 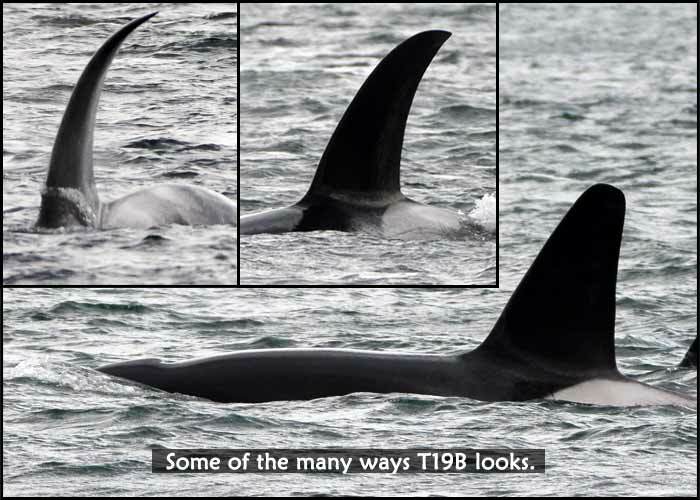 ...one can tell from a great distance when the T18s are present because of T19B. 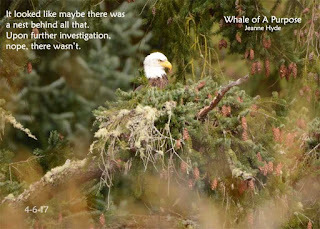 ...here's another angle of him, coming toward you. 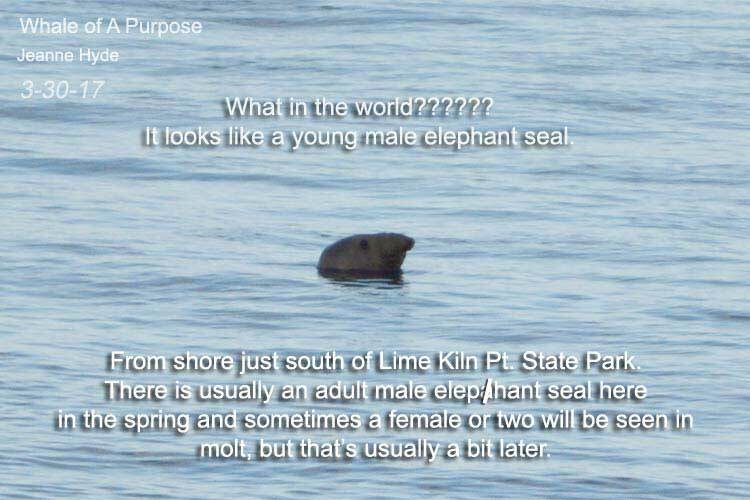 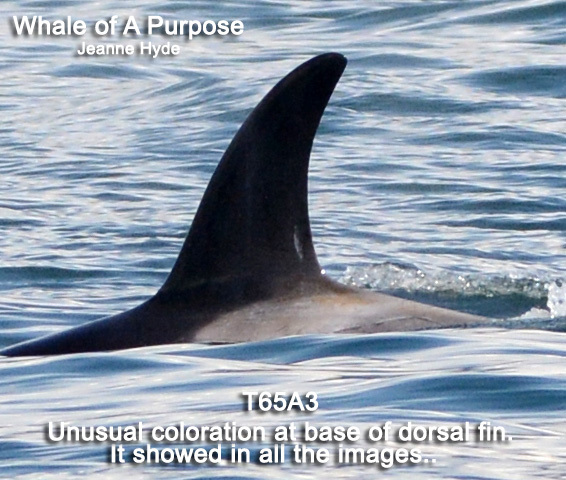 This calf is the 6th offspring of T124A. 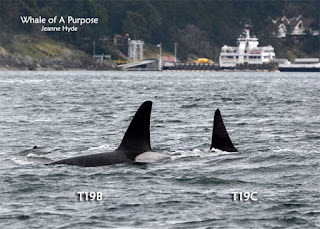 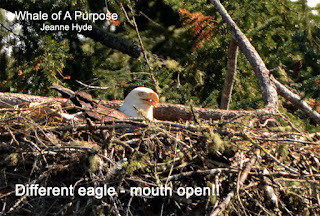 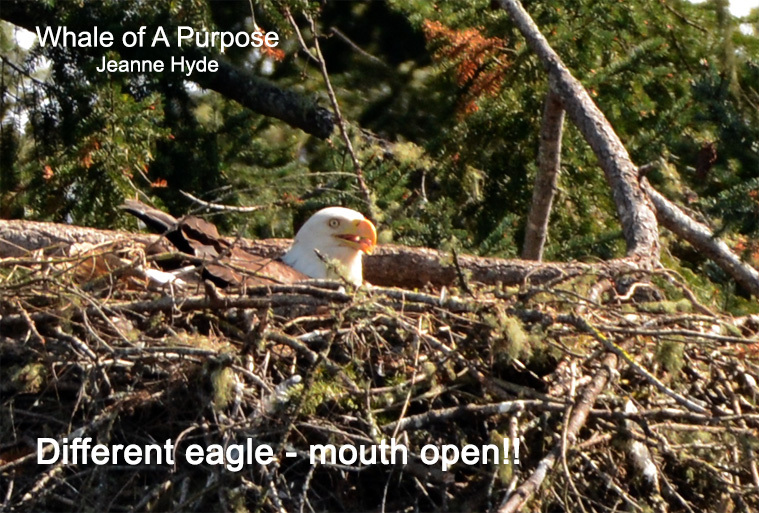 T124A is the mother and T124 is the grandmother! In the transient community it is common for females, when they start their family, to travel off on their own and with others. 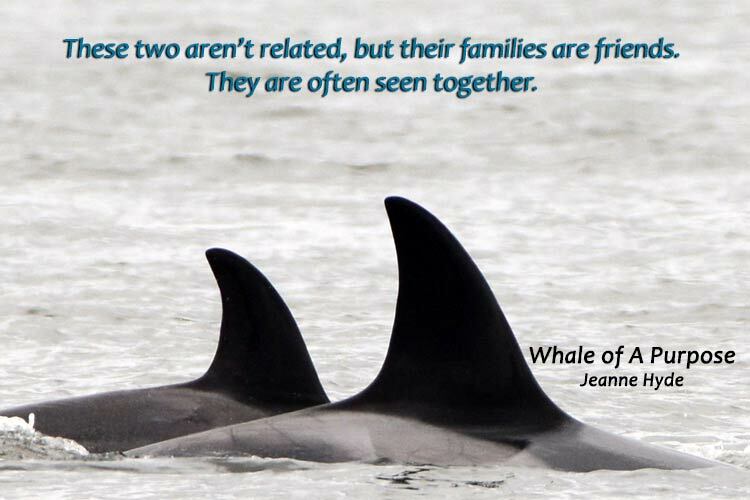 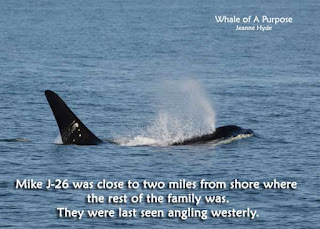 Sometimes they are seen with their direct family members and other times with other transients, usually who have young ones. i.e. 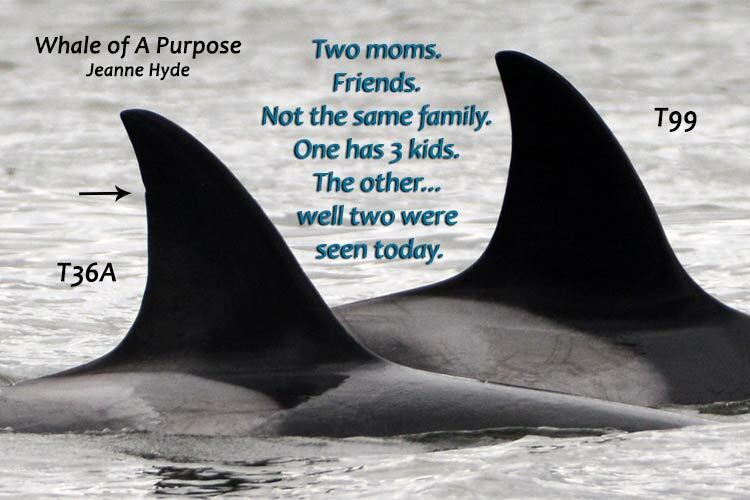 young mothers and their kids like to spend time together! 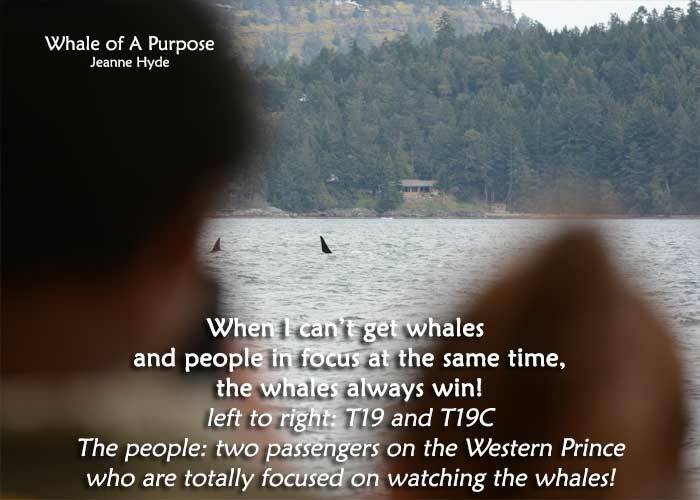 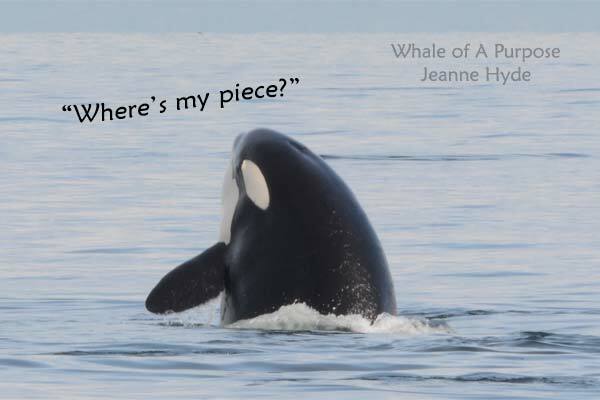 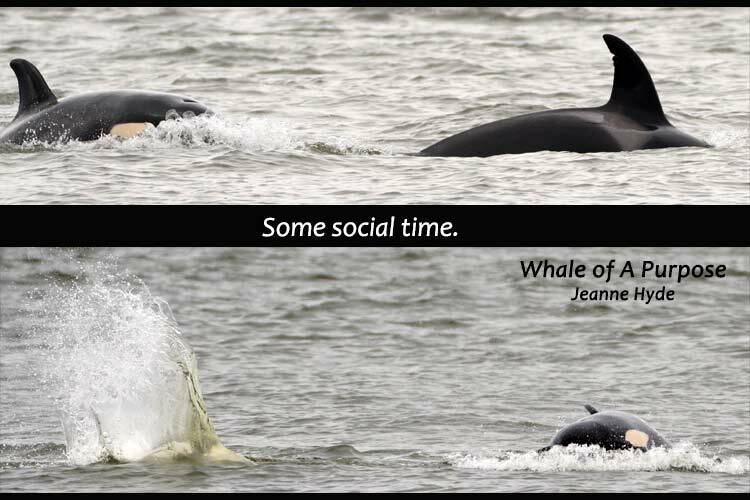 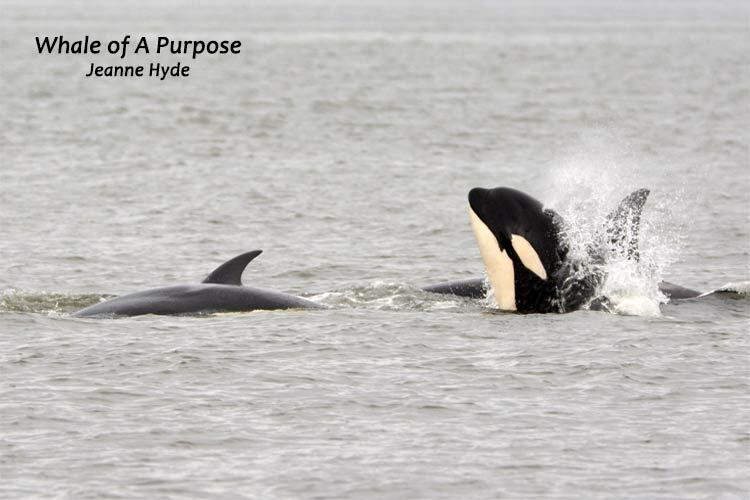 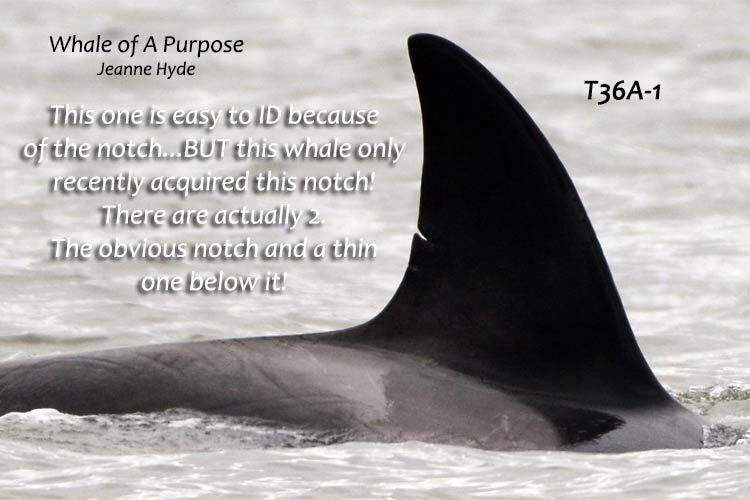 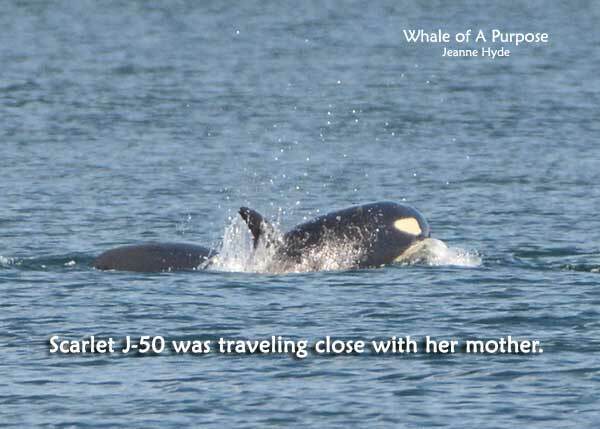 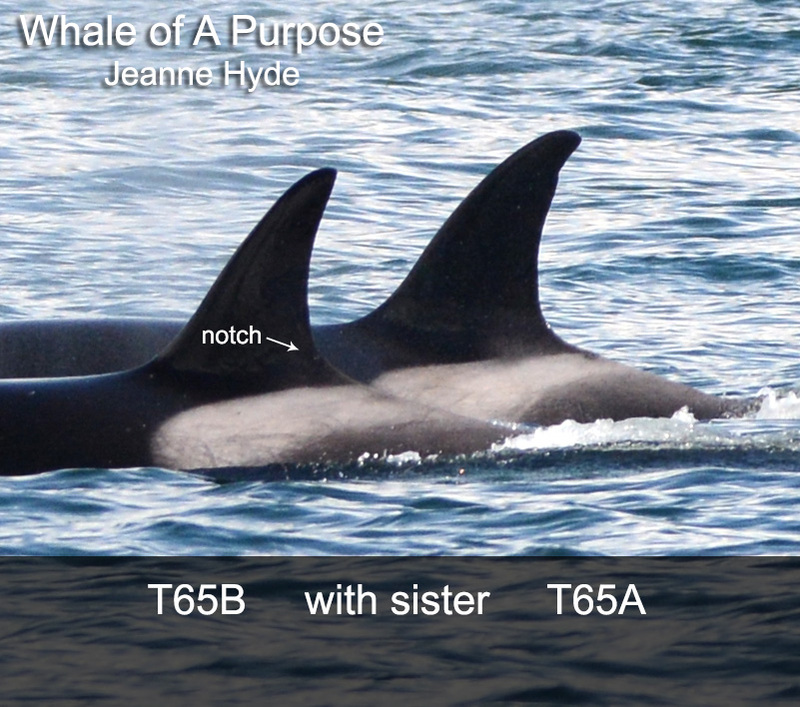 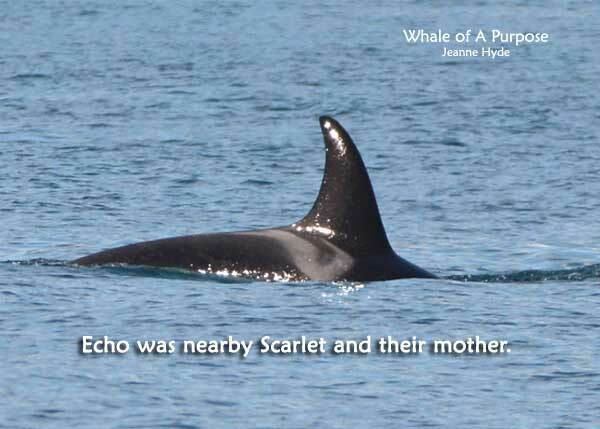 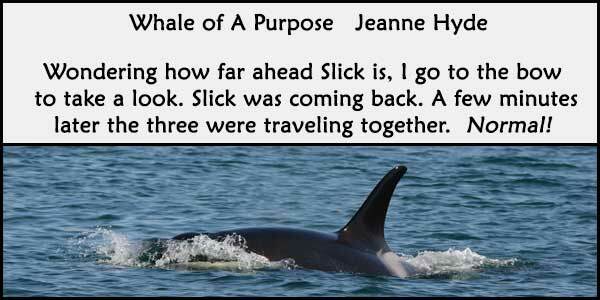 (The Transient IDing system for the community of Ts (aka Biggs killer whales) that we see always relates back to the matriarch of the family. 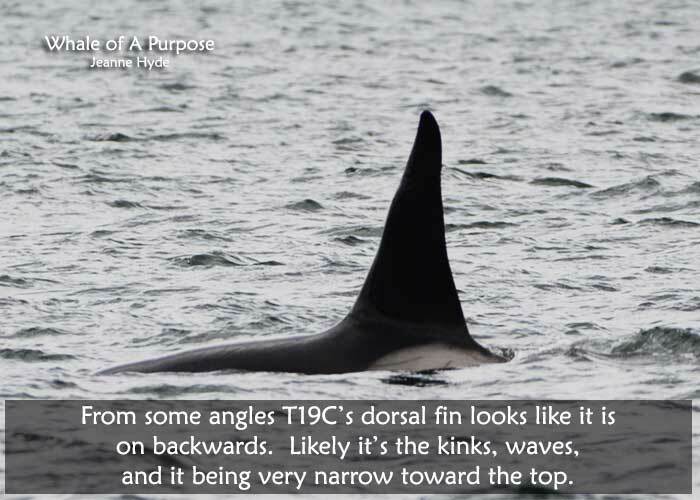 In this case T124. T124A, B, C, etc. 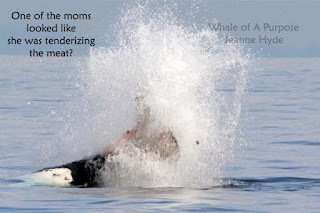 are offspring. 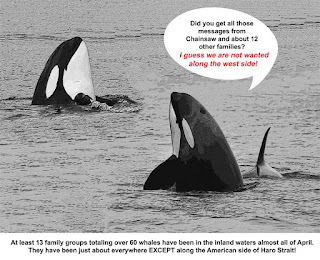 If any of those have offspring, T124A-1, -2, -3, etc. and to add to that T124A-2 had an offspring and her first offspring is T124A-2A...It may sound very confusing but it sure comes in handy when identifying whales of this transient community because they don't travel in any set groups. The family group of the T124s is really big and every once in a while they are all together which is really neat to see. 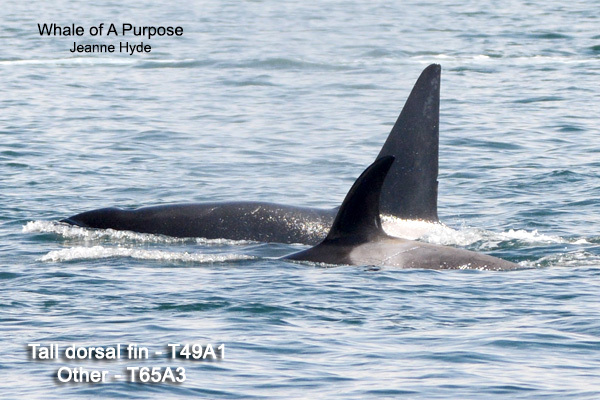 But on this day, everyone who got to see T124A-6 ...well just know that was extra special! 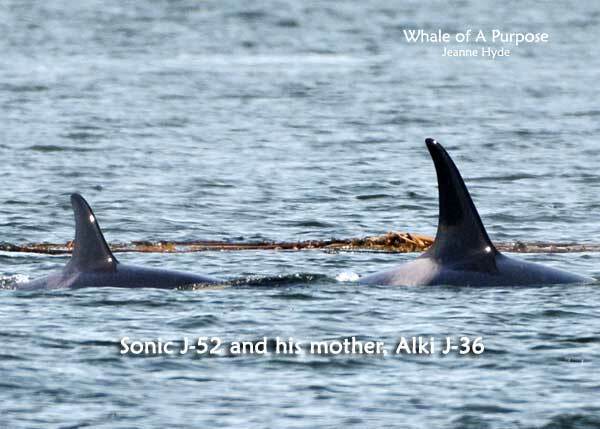 ...Alki and Sonic they were about 10 minutes behind mom, Echo, and Scarlet...hummm...seems she has moved into the 'cottage' adjoining the main quarters...i.e. 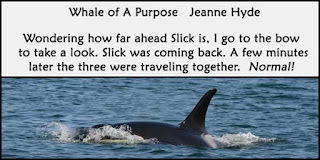 she and Sonic are most often, at least lately, to be by themselves or with Mike...of course that could change. 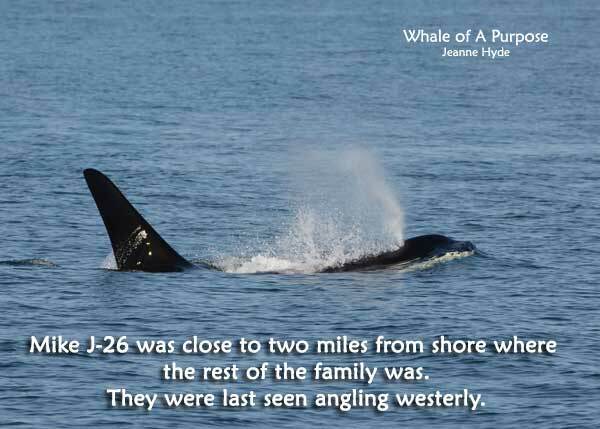 ...we now wait for their return from the west...at least that's where it looked like they were heading. 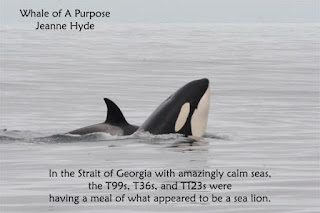 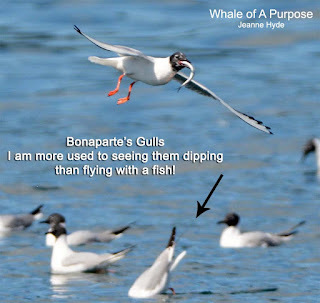 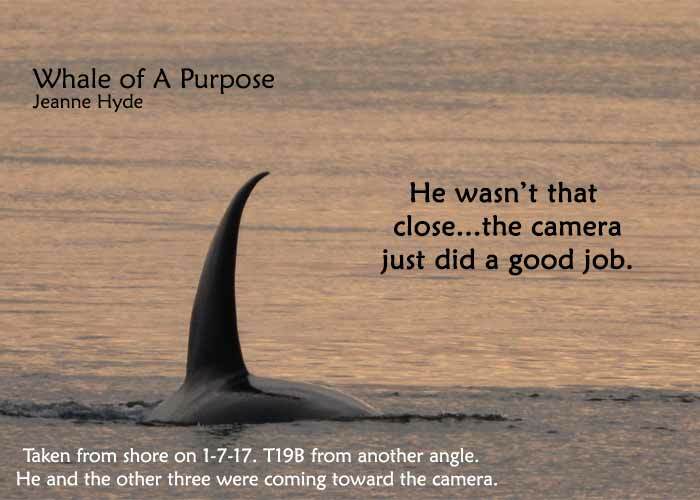 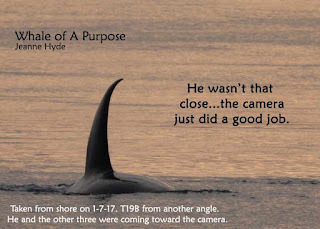 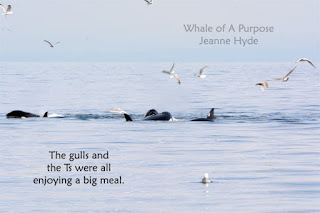 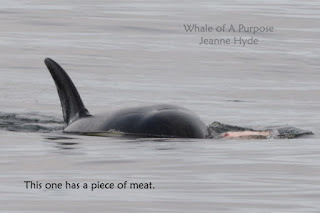 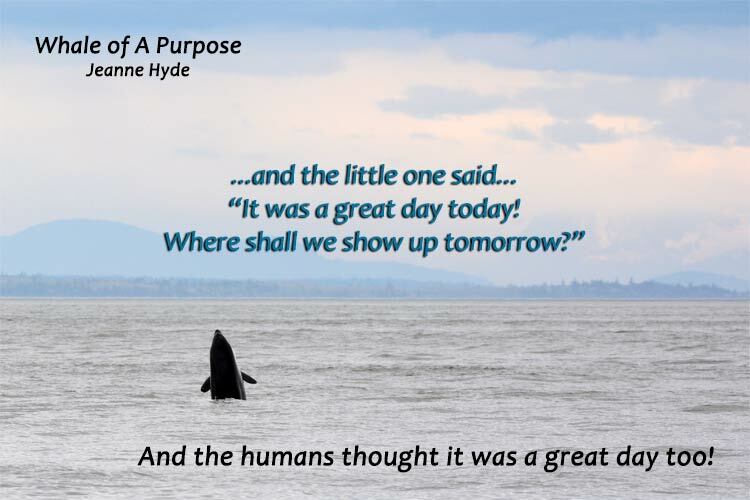 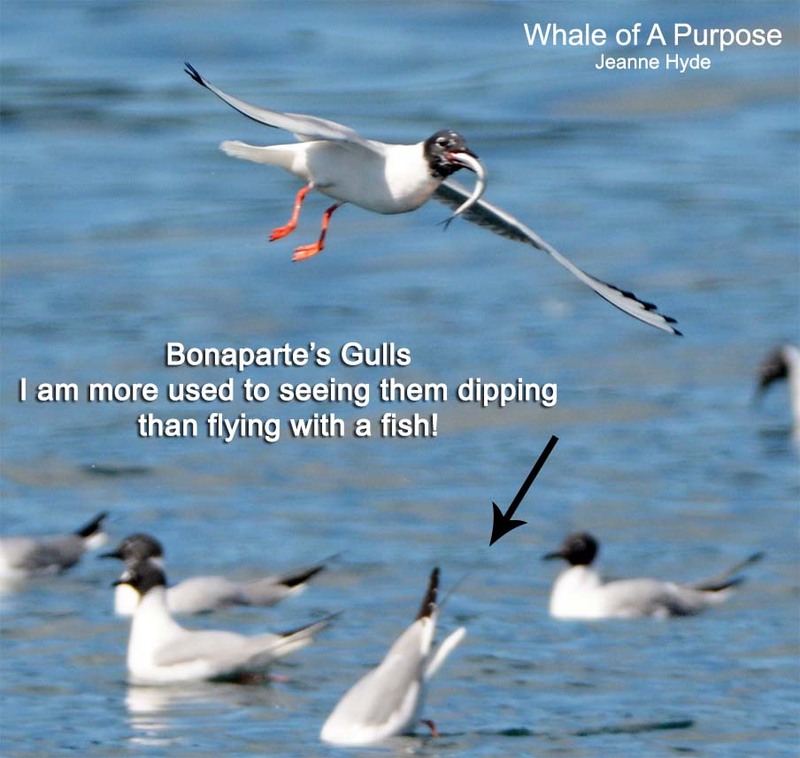 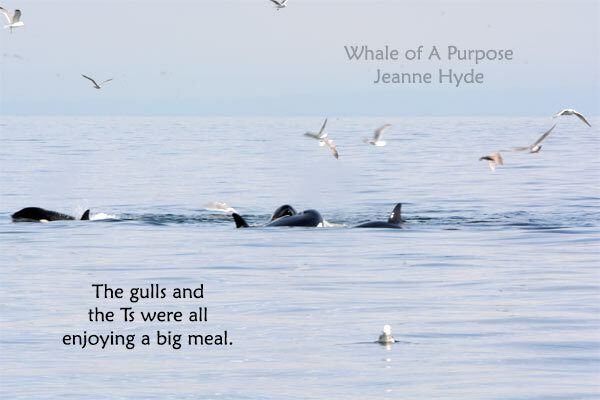 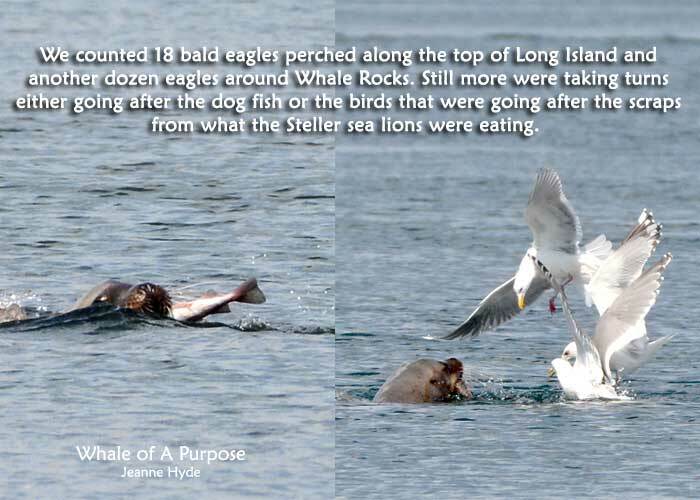 ...though some people don't like to hear that transient orcas eat marine mammals, it's just the way it is and when they take a large animal it takes a long while to eat it...so they weren't going anywhere, which made it possible for those watching to not have to go anywhere either. 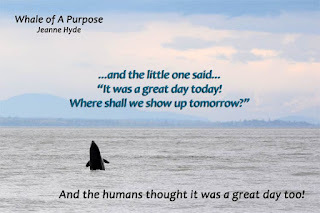 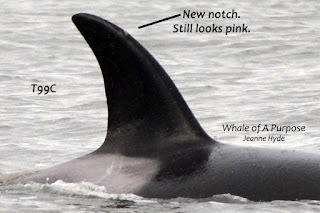 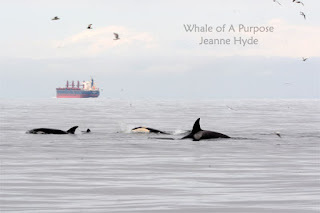 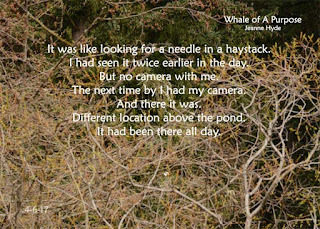 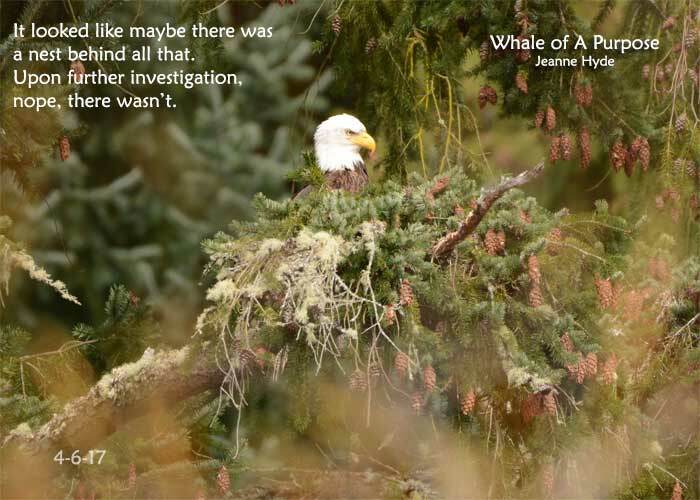 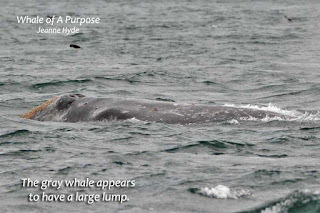 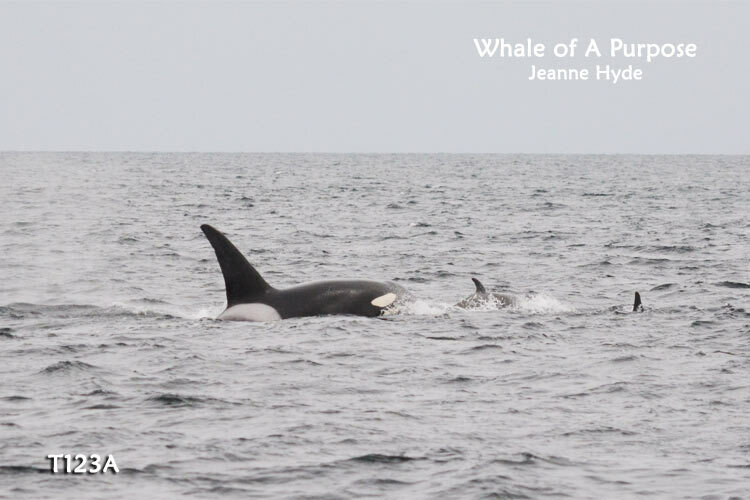 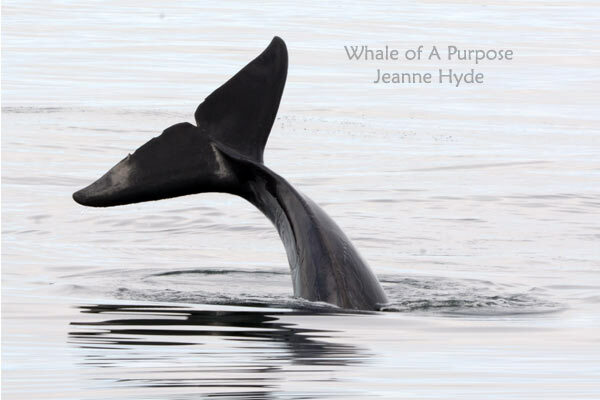 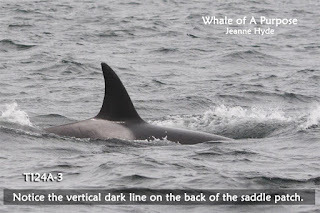 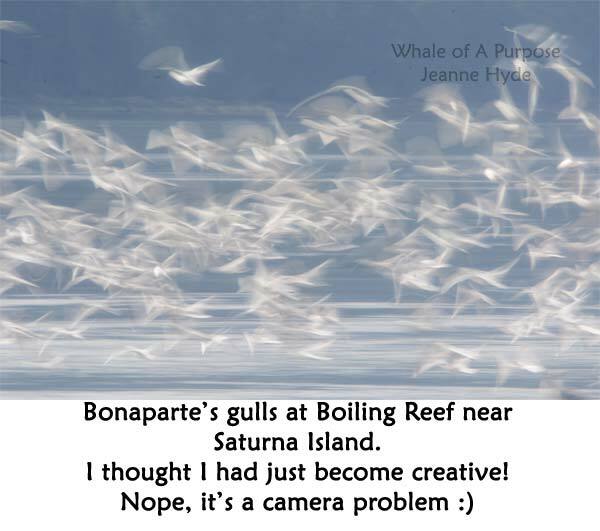 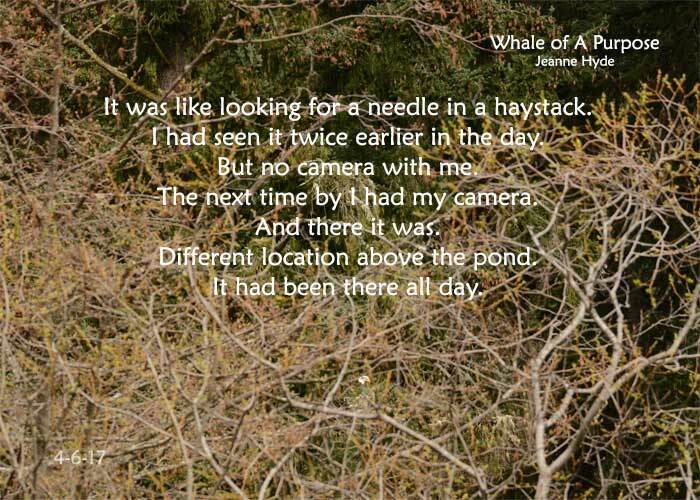 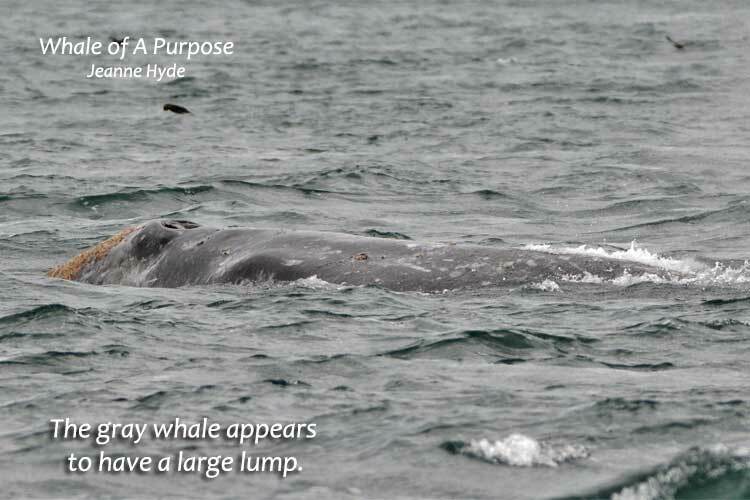 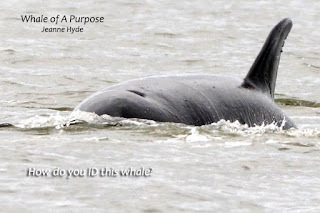 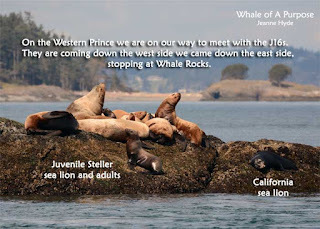 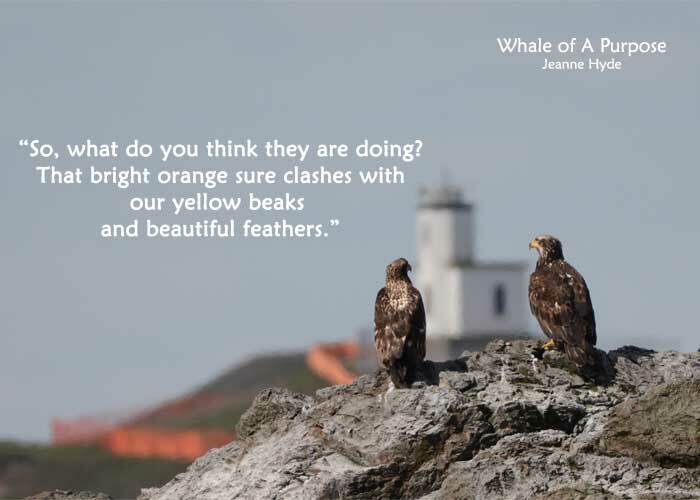 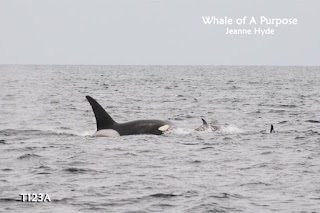 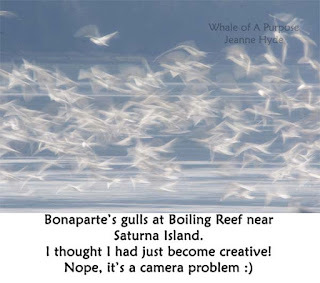 ...while up to the north watching the Ts, word came that J pod calls were heard over the Lime Kiln hydrophones!...it was later learned that someone from shore had seen a small group of whales heading up...though no one was able (that I know of) to get IDs on who. 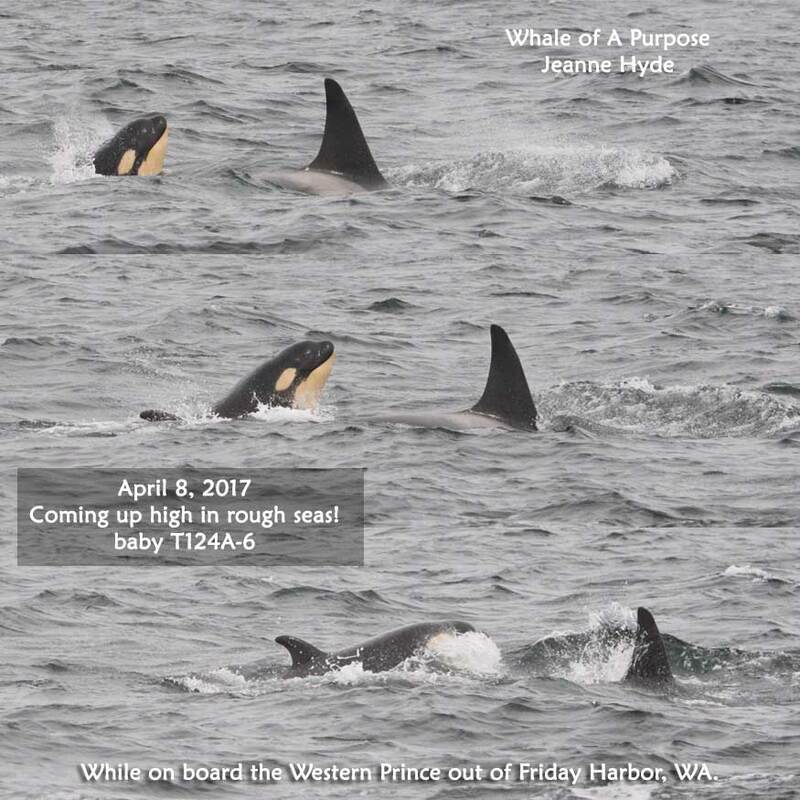 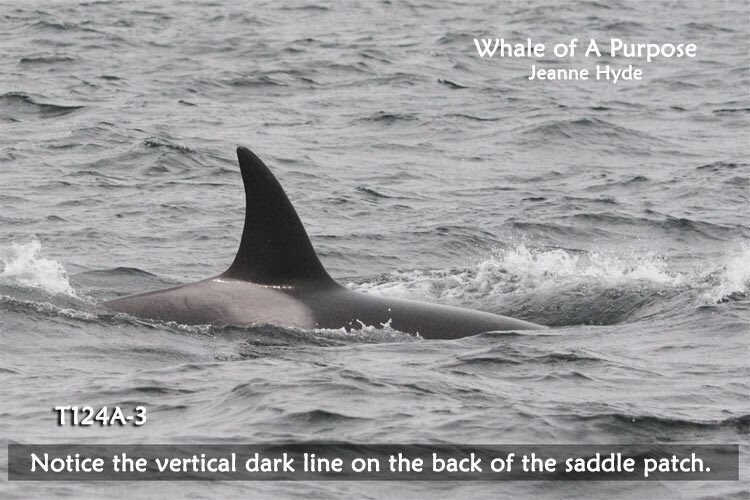 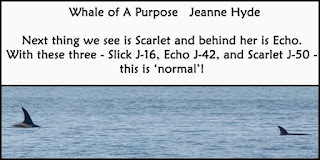 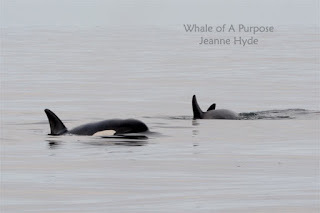 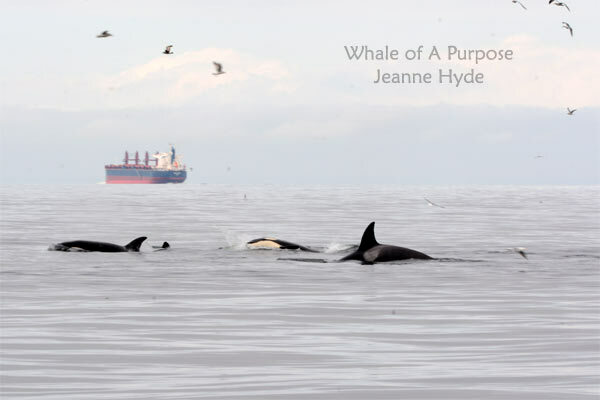 ...and since the last time we had seen any of the J Pod whales they were in three separate groups...so which group was this?